A Southern California native, Rob Magnotta has become one of the most trusted and successful agents along Coastal Orange County. His professionalism and dedication to his clients is widely recognized, and he has earned a place of respect with his peers, selling properties totaling more than one hundred million dollars in the last few years alone. Rob has represented homeowners and buyers in 10 counties throughout California, from first time buyers to affluent luxury home sellers. His real estate career spans more than 16 years where he has been recognized with multiple awards for his outstanding sales achievements. He is regularly called upon by the CBS Evening News and the Orange County Register as the foremost authority in local residential real estate. 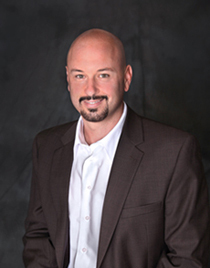 In addition to his notable sales achievements, Rob is known in the industry as a skilled professional utilizing cutting edge marketing strategies, clear communication, and a dedication to his clients that is second to none. A shrewd negotiator, Rob is often called upon to handle the most complex transactions. He has three years’ experience as an REO broker, and a 100% short sale success rating. Rob is also a successful real estate investor who has facilitated the sale of property worldwide. He understands what an investor is looking for when seeking to expand their portfolio and can quickly guide them in the right direction. Top national home builders and luxury developers utilize Rob’s intimate knowledge of his market place and keen business instincts to market and sell their properties. Rob believes that success in real estate begins with three basic principles, honesty, integrity, and hard work. While thousands of agents fled the real estate business when the going got tough, Rob was able to increase his share of the market through continual referrals from friends, neighbors and past clients whom Rob has either represented or had the privilege to get to know. Best Location in Greystone Landing! No street noise or dust from Beach Blvd, and no traffic from the gate! This upgraded contemporary 3 Bedroom, 2.5 Bathroom Two Level Home in the beautiful, gated, beach-near Greystone Landing community is perfect for you and your family. Natural light abounds from the high ceilings as you enter the home into a cozy living room, leading you into a well designed great room, completely bright from the kitchen all the way to the fireplace at the conclusion of the family room. The kitchen has been smartly upgraded in a modern style, and comes complete with all appliances. The back yard is spacious, features an above-ground private spa, and most importantly, is devoid of street noise from nearby Beach Blvd. Downstairs features a powder room for you and your guests, and the windows across the back of the house bring in fantastic late afternoon sun light. Upstairs you will find 3 bedrooms, including the spacious master. The master suite has a separate tub and shower, as well as dual vanity sinks. In addition to the secondary bedrooms, there is a full second bathroom with a tub and shower, and there is also an upstairs laundry room. The community is a fantastic place to live, and it offers several amenities, including a community pool, spa, and gathering area. Just a short distance you'll find everything people come to Huntington Beach Including the new Pacific City, Main Street, shopping, dining, and of course, miles of beach and surf. You'll Like The Approximately 1,825 Square Feet Of Living Area!!!!! Model Perfect Sands Plan 2 in Huntington Beach's premiere coastal community of Brightwater! This beautiful Two Level Home sits on a large lot, and showcases an Ideal location within this amazing community. The Home Itself features 4 bedrooms, Including a downstairs bedroom, and 3 bathrooms, including a downstairs bathroom with a shower! There is also a separate office space, a large great room, a cozy breakfast nook, and an upstairs laundry room. Gorgeous wood floors encompass the majority of the home, and multiple upgrades abound throughout. The kitchen features granite counter tops, wood cabinets, and Viking Professional Series stainless steel appliances, including a refrigerator. The tile and stone in each bathroom has been meticulously selected creating a inspiring yet cohesive theme throughout the home. The back yard has more highlights than can be listed, including an outdoor fireplace, a covered patio, a serene rock water fall, a built in fire pit with stone sitting area, a full BBQ island, and tons of room for entertaining your friends and family! Thinking about taking a bike ride down the coast or walking down to the beach or near shopping and restaurants? Well all of that can be easily done from this beach near Home. And Brightwater has multiple access points to the trail system that is part of The Bolsa Chica Wetlands making true outdoor living more than possible, it's a reality! In More Than 2,100 Square Feet Of Living Area You Get A Real Jewel!!!!! If luxurious coastal living is what you've been looking for, then your search is over. Nestled atop The Bolsa Chica Wetlands, just a hop, skip, and a jump from the Pacific Ocean, this is Brightwater. As you step inside this model-perfect Seaglass Two Level Home situated on a private corner location, you'll be amazed by the attention to detail in every room. The Home itself features 4 bedrooms, 5 baths, an office, a huge bonus room, upstairs laundry, a separate formal dining room, and an enormous great room leading out to a spacious backyard complete with a Huntington Room, an Indoor outdoor covered living area. The home has been substantially upgraded, including natural hardwood floors, custom curtains, built-in surround sound in the family room, hideaway nano doors on both the office and the family room, and a 3 car garage (2+1 tandem). The Chef's kitchen features all stainless steel appliances, including a 6 burner range & double oven, built-in refrigerator, wine refrigerator, a massive island, and tons of cabinet space. The master bathroom is like being at a resort, with an all marble shower, a huge separate soaking tub, and a custom master closet with built-ins. But it's the back yard that truly completes this resort-style home. Listen to the waterfall as you take a dip in your own private pool, or watch the fire pit glow all night while you cook dinner for your closet friends at the built-in BBQ island just as the cool ocean breezes come rolling in. This Incredible Property Has Approximately 3,801 Square Feet Of Living Area!!!!! What happens when you blend the perfect location, size (4 Bedrooms & 3 Bathrooms), and floorplan? You get the Sands Plan3X in Brightwater. One of only eight models built, this well-planned design has everything you could ask for, including a downstairs bedroom and bathroom. The great room is a flawless, bright space combined with a model-perfect kitchen and a spacious living room, complete with high ceilings and wired for 5.1 surround sound. Stainless steel appliances compliment the modern tones of the granite, tile, and cabinets. There is also a separate formal dining room and a powder room for your guests. Upstairs you will find a huge master suite, featuring a walk-in closet, separate tub and shower, and vaulted ceilings. The 2nd bedroom is enormous and could be used as a game room, work out room, or even a home theater! There's also a 3rd bedroom and full bathroom, featuring dual vanity sinks. This Two Level Home has nearly 2,500 square feet of living space, and because of its location, has one of the larger yards available in the Sands. Perched at the conclusion of a single loaded street, this Home has tons of natural light and privacy, the latter of which can be very hard to come by in Brightwater! This Home backs to Los Patos, so there are no neighbors peering into your yard. You are also walking distance to The Bolsa Chica Wetlands. This Is A Lot Of Property For A Real Value!!!!! Exceptional Sandpiper Plan 2 3 Bedroom, 2.5 Bathroom Two Level Home with a perfect location in the beautiful SEAGATE community. Through the serene front yard enter into a wide bright floor plan with soaring ceilings and tons of natural light throughout. Hardwood floors envelop the main level, including the perfectly designed family room equipped with an updated built-in entertainment center, gas fireplace with raised stone hearth, and surround sound. Enjoy the chef's kitchen with center island, granite counters, full backsplash, and wine rack. Upstairs you'll find a master bedroom suite with plantation curtains, crown molding, a generous master bath complete with spa tub, dual vanity sinks, and a large walk-in closet designed by California Closets. Newer carpet leads you to a hallway landing looking at the spacious living room and leads to the 2 secondary bedrooms, a large office with huge 4th Bedroom potential, a Jack'n'Jill bathroom, upstairs laundry, and a quaint outdoor balcony. The professionally designed private backyard features drought tolerant Woodland Garden complete with crushed granite, stone pathways, and a tranquil fountain. Seagate offers a 13 acre Baca Community Park and Award Winning Seacliff Elementary School. Just minutes from Pacific City, Main Street, and world famous Beaches! Enjoy Your Approximately 2,280 Square Feet Of Living Area Here!!!!! Brightwater beautiful at an entry level price! This gorgeous Trails Plan 2 (3 Bedroom, 2.5 Bathroom Two Level Home) offers something hard to find in any new Home community... privacy! Enjoy all the natural light coming through the back of the Home, which is nearly wall to wall with windows. The great room features an entertainer's kitchen complete with Viking Professional Series stainless steel appliances, including a refrigerator. Gorgeous granite covers the island and counter tops, and the kitchen leads into the living area. Dark wood floors throughout the downstairs and recessed lighting complete this warm and cozy living area, and there is a main level powder room for you and your guests. The home is cleverly built around a bright air courtyard in between the main living area and the office/bonus room located nearby. This bonus room could even be used as a 4th bedroom if needed! The bottom floor is off with 2 single car garages, one on each side of the home. Upstairs you'll find a large and spacious master suite, complete with separate tub and shower, and a sizable walk-in closet. There are two secondary bedrooms and another full bathroom with dual vanity sinks. Finally, an upstairs laundry room provides centrally located access, and a balcony that looks at the courtyard below. Walk to The Bolsa Chica Wetlands. You Get Approximately 1,800 Square Feet Of Living Area With Pride Here!!!!! A 3 Bedroom, 2.5 Bathroom Two Level Jewel in the Brightwater crown! This is a the amazing Trails Plan 2 with the private, interior courtyard! And to make it even more of a rare find, there are only a limited few of these homes that back to Los Patos Avenue. This means extra privacy and a space for you! You can't ask for a better location in the Trails, and just a few steps from a paseo leading to The Bolsa Chica Wetlands, an ocean view, and an extensive walking trail. The interior of this Home features an exquisite kitchen complete with granite counter tops, a large center island, Viking Professional series stainless steel appliances, white cabinetry, full tile backsplashes, and gorgeous wood floors. This bright floor plan features 10 foot ceilings, unlike the Plan 1, and connects to a large living space with huge windows, bringing in tons of natural light. There's built-in surround sound in the family room, built-in speakers in the master bedroom, an upstairs laundry room, and a main level security system. On the front of the interior courtyard sits an office, which could easily be used for several different purposes. The upstairs master suite is beautifully ornamented with Caesarstone counter tops, travertine floors and shower surround, a large soaking tub and dual vanity sinks. Relax In Approximately 1,775 Square Feet Of Custom Living Area Here!!!!! One of the PREMIERE Homes in all The Trails is now yours for the asking! Rich with history, this original Trails Plan 3 was the first property sold in the entire Brightwater development. Built by Hearthside Homes, this property came loaded with upgrades and with a view unmatched by any other Trails 3 Bedroom, 2.5 Bathroom Three Level Home. The entry way is a rotunda, leading to either a comfortable den, stairs to the second level, or a warm and inviting family room. Ceiling mounted surround speakers above and faux-wood porcelain tiles below, this home features a heavily upgraded great room with caesarstone counters, Viking Professional Series stainless steel appliances, & tons of windows everywhere bringing in a huge amount of natural light! The backyard was professionally designed and is much larger than the standard Trails homes. There's a built-in BBQ area, a serene water feature, a perfectly placed patio, and a cozy grass area. As you head upstairs, notice the real wood railing and the plush upgraded carpet. The master suite is amazing and has a jetted tub, separate shower, walk-in closet, and again, plenty of natural light. Then, head up to the 3rd story crow's nest and enjoy the ocean and mountain views. You Won't Find A Better Property Of Approximately 1,925 Square Feet Of Living Area Than This Here!!!!! Welcome to Brightwater! This is the sensational Sands Plan 1, part of the original 4 Brightwater neighborhoods! This gorgeous Two Level 3 Bedroom, 2.5 Bathroom Home has been upgraded in nearly every room and has the unique option of turning the loft into a 4th Bedroom! The kitchen features full granite counter tops, stainless steel appliances, and a pot faucet over the stove. The entire downstairs features beautiful hardwood flooring, 4 inch baseboards, custom paint. The kitchen has two different cabinets, dark wood around the exterior and light wood under the large center island. There is a separate den with a sandstone wrapped fireplace, and all entries feature hideaway screens. The back yard is simple and elegant, and because the home backs to Los Patos, there are no neighbors directly behind you which is a HUGE plus! Upstairs features a fantastic master suite, complete with a walk-in closet, separate tub and shower, and a small balcony. There is a large 2nd bedroom on the other side of the home, as well as a full second bath with a beautiful slab counter. When the home was built, the developer offered an optional 4th bedroom instead of a loft. So converting to a 4th bedroom should be easy as the Home was designed with this choice. Immaculate Is What Best Describes This Approximately 1,950 Square Feet Of Living Area Residence!!!!! Flooring in Living Room, French Doors leading to a Fully Permitted Family Room Addition, Fireplace, Dual Paned Windows, Ceiling Fans, Mirrored Closet Doors, Scraped Ceilings, and Central Air Conditioning! You are within walking distance to fabulous schools, Meadowlark Golf Course, Gibbs Butterfly Park and biking distance to the Beach! I'm Talking Real Value Here!!!!! PLEASE MENTION TO ROB THAT YOU SAW HIS WEBPAGE ON CALCOASTHOMES.COM!